Kyndi is an artificial intelligence company that’s building the first Explainable AI platform for government, financial services, and healthcare. With its mission to optimize human cognitive performance, Kyndi is transforming business processes by offering auditable AI systems. Kyndi’s products and solutions also help to mitigate the human bias that can arise in the process of extracting knowledge and answers from data. 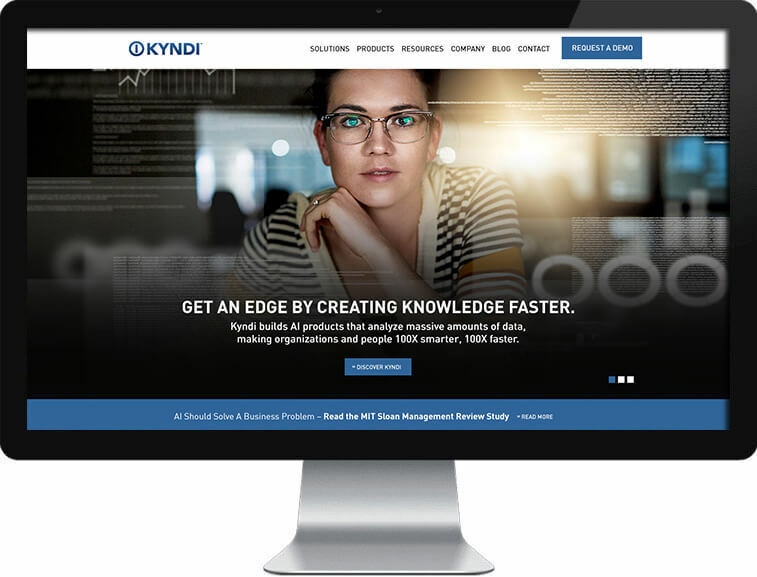 www.kyndi.com – Arami Design assisted with the architecture, design, and custom WordPress development of Kyndi’s corporate website.